KLM Royal Dutch Airlines is based out of Amsterdam with a world wide network including major North American cities such as New York, Chicago, Atlanta, Toronto and San Francisco, to name a few. As a Skyteam Alliance member it codeshares with Delta in the US and also has an equity partnership with Air France. You can reward fly KLM to Europe and beyond, including the Middle East and South Africa. KLM recently took delivery of new Boeing 787-9 series Dreamliners to compliment their existing international fleet of 747-400 and 777 aircraft. KLM only offers business class and has three types of seats. 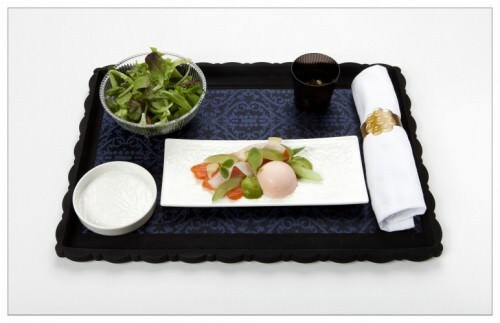 World Business class is installed on the A330 and certain 777-300 aircraft. The seats are not lie flat but recline to 170 degrees. These aircraft do not fly to the North American. They are arranged on the A330 as 2x2x2 and 777-300 as 2x3x2. When looking at a 777 seat map if it shows 2x3x2 you have the reclining seats. The width on this seat is 20.5 inches. Recently KLM introduced new products for their existing 747 and international 777 aircraft, along with a completely new design for the 787. 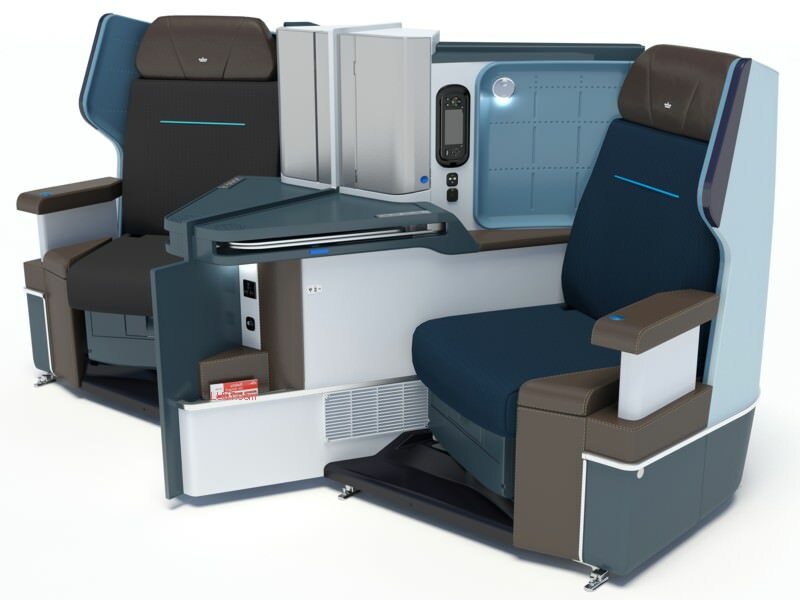 The brand name is New World Business Class and it features lie flat seats. However the 747 and 777 seats are completely different from those on the 787. 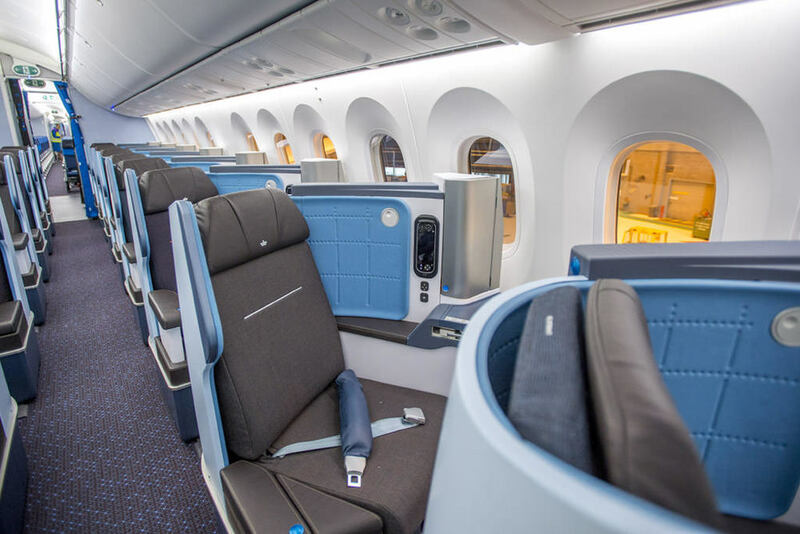 For all 747 and the 777 aircraft that have New World Business Class installed, the seats appear to be a modified version of B/E Aerospace's Diamond product that has a 63 inch pitch, 20 inches width and reclines to 180 degrees. Configuration on the 777 is a slightly angled 2x2x2 placement with a unique arrangement on the 747 where it's row one 1x2, Rows two and three 2x2 and row four 1x1x2. Solo travelers have your seat! 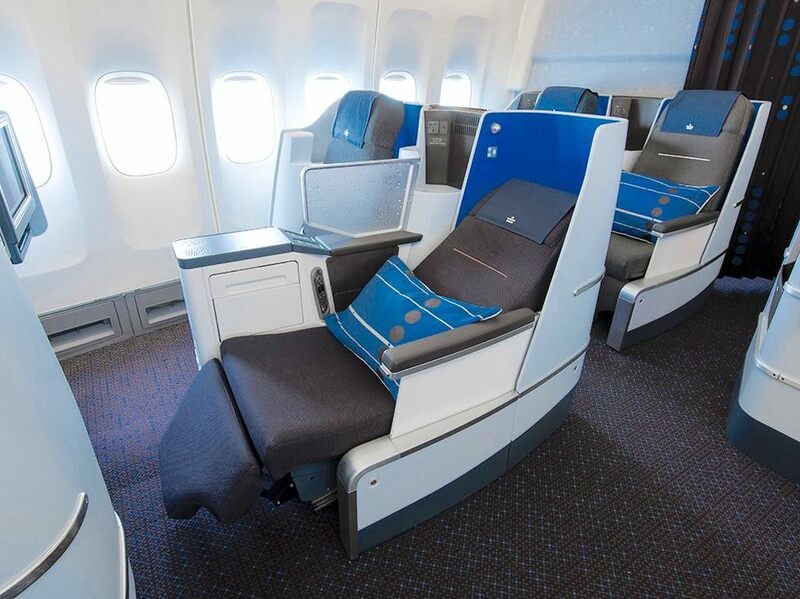 KLM's new 787 aircraft have the popular Zodiac Cirrus seat in a 1x2x1 reverse herringbone configuration. Window seats point to the window and all seats are 20.5 inches wide. There are 32 business class seats, however only a single lavatory in the front cabin. 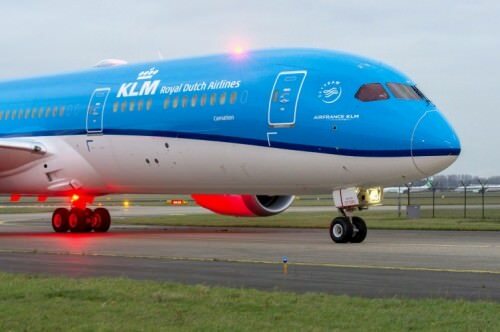 For more information on KLM's 787. KLM is also installing a new IFE system in 777 and 787 aircraft. They feature a 16 inch monitor operated by a video touchscreen handset with 1000 hours of entertainment available in 12 languages. An interesting feature is called "seat chat" which allows you to communicate with other passengers seated elsewhere in the cabin. The 787 aircraft and a single 777 plane have Wi-Fi installed. 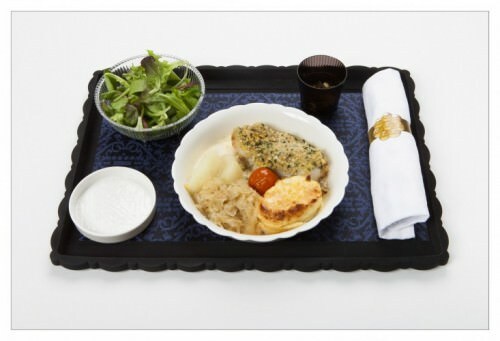 A variety of meals are offered with regional menus based on routing. 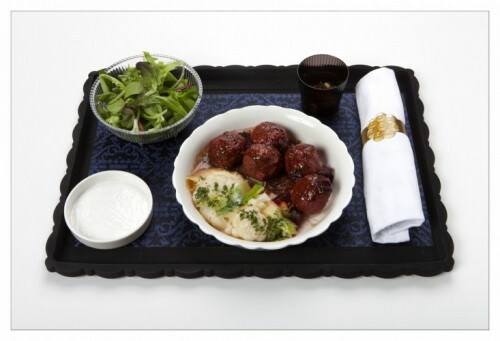 For more information on KLM's New World Business Class click here. Have you flown on KLM? Share your experience with others in the comments section.